I know it’s cliché, but bear with me. I have a point to make. Whole Woman’s Health that operates in Texas and Maryland is proud to announce the launch of an “app.” They officially launched a new mobile website in January so women can make appointments for abortions and learn about their services more easily. And now – they have an “app” for abortion to make it even easier. A VIP woman can call the Empower line to set up an appointment, send them her LMP date to get instructions, ask them to call her back just for a chat about abortion! She can find coupons and reviews, share about abortion on Facebook and Twitter, and even find cool images of the clinic with some catchy quotes. Here are some images from the app. 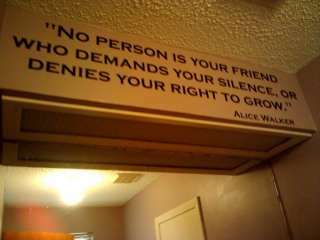 And there’s inspiration from the poet and author, Alice Walker, who wrote the novel The Color Purple. Do they realize the irony of this quote. The mother who silences her unborn child denies her baby boy or girl the “right to grow.” So would that make her, well, unfriendly? Oh, just give her the cookie. Hey, no one needs to make any sense in a place like this. 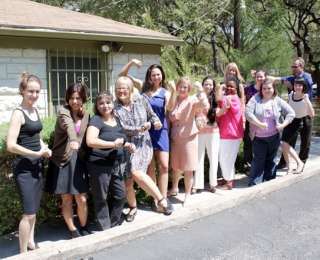 Just do or say whatever makes you feel good and [everybody pump their biceps with me]strong! Take that you little fetus. No kidding. In the app you can read some of the customer reviews. Here’s one from Lauren Z last April. 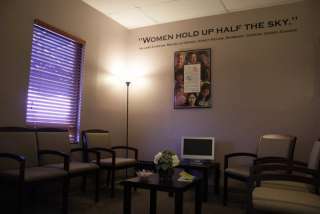 I had a really great abortion at Whole Women’s Health of Austin! The staff was amazing. The procedure was safe. I got cookies and goldfish crackers after it was all done. They even let me take pictures of the fetus after it was all done and over with AND I got to keep the sonogram picture. Highly recommend to anyone wanting to terminate. Well hoot and holler! You get souvenirs. But see, here’s the thing. In life there’s right and there’s wrong. There’s virtue and there’s vice. Temptation to do wrong is easy to spot because it tries to make the ugly look good – it makes excuses, it appeals to vice and weakness. Temptation doesn’t inspire anyone to the hard work of virtue and goodness. Temptation pulls you into indulgence, deceit and falsehood. Like nature’s flowers, virtue speaks for itself. It is beautiful to see a mother, patient even in exhaustion, embracing her own little child. It is beautiful to see a pregnant woman full of the fortitude that life can demand. It is beautiful to see any person, courageous and determined beyond themselves, overcome fears and rise to a fuller life of dignity and confidence. None of that needs frills. It just is beautiful. It is good. Personal growth is not found by killing life’s most precious gifts, and then snacking on cookies and goldfish while flipping through your iPhone to ogle some cool abortion app. No, temptation is just the fancy stuff poured over the evil to make it look better. But it doesn’t change reality. VIP treatment, snacks, gift baskets, mugs, quotes and apps don’t change what abortion is any more than pouring chocolate syrup over dog poop and crowning it with whip cream and a cherry turns the whole thing into an ice cream sundae. If abortion were pure and virtuous and right, then all the fixin’s wouldn’t be needed to try to hide it. 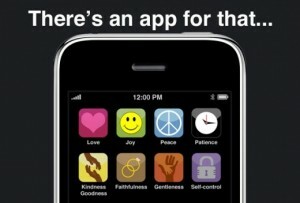 You don’t need an app to do the right thing. You just need to look at the real world with a clear conscience. It will not surprise that in the future we will see Abortion clinics with BOGO offers!